Mike Cochran, our Principal Bass, has a few thoughts on this week’s concerts. Off we start with the “Lord of the Rings” Symphonic Suite, with high school string players from SD #61 and #62 in our midst. Young string players who probably know more about the likes of Melker, Gandalf and the Witch-King of Angmar, than most of the rest of us. A fitting commencement to a musical evening of Dark Lords, Wizards, Witches, Kings, Queens and Emperors… particularly Emperors. 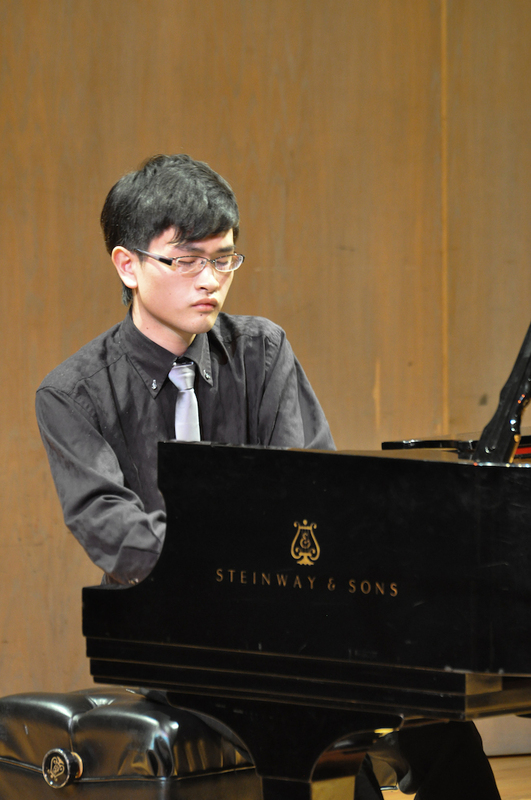 Our soloist, Masahiro Miyauchi at the Concerto Competition. Masahiro Miyauchi…[aka “Mitchy” at Vic High School ], has been known, since childhood for hours of piano playing and building castles… Lego castles that is. Castles fit for an Emperor. When the piano lid lifts skyward, there will be Mitchy to perform Beethoven’s Piano Concerto No.5 in E Flat, the “Emperor”. Named the” Emperor” by an officer in Buonaparte’s army besieging Vienna in May 1809, Beethoven, after fleeing cannon balls, completed his Piano Concerto at his brother’s place, also in Vienna. 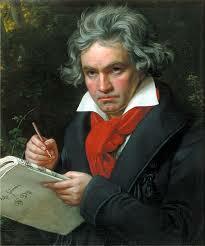 Dodging cannon balls was probably one reason why Beethoven wasn’t too keen to honor Napoleon with a Piano Concerto. Imperial, magnificent and splendiferous are not inappropriate descriptions of this concerto and Masahiro, considering his age, justifies this description through his rendering. “Now he will become a tyrant like all the others”, raged Beethoven in 1804, as he ripped off the title page from the score of Symphony No. 3 in E flat Major. Now here’s a Symphony breaking new ground… expressive; gigantic in scale; profound… heroic by original intent with the hero disregarded. By 1806 for the first public performance the title page read “Composed to celebrate the memory of a great man”. Orchestral musicians consider the Eroica profoundly challenging. As if a battle is raging… all the instruments battling… musical cannon balls flung around with menacing intent… Napoleon losing his struggle with heroism.